“All that we want is an assurance that pellet guns will not be used indiscriminately or excessively in the state (Jammu and Kashmir) and will be resorted to after proper application of mind”, a bench headed by Chief Justice T S Thakur. 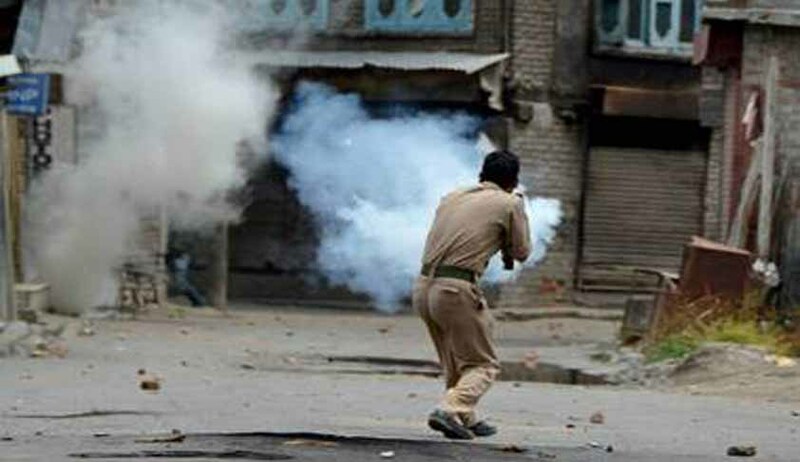 In a boost to campaign against use of pellet guns by security forces, the Supreme Court, while hearing an appeal filed by Jammu and Kashmir High Court Bar Association recently said pellet guns should not be used indiscriminately for controlling street protests in Jammu and Kashmir and be resorted to only after proper application of mind by the authorities. A bench headed by Chief Justice T S Thakur issued notices to the Centre and the Jammu and Kashmir government while seeking their replies on a plea alleging excessive use of pellet guns in the state. The next hearing is on January 30. The recent violence in Jammu and Kashmir has brought pellet guns into focus. Over hundred people were treated for severe eye injures after security forces fired pellet guns to contain widepread violence which erupted after the killing of Hizbul Mujahideen commander Burhan Wani. Police claim that it is a “non lethal weapon” and can be used to disperse protesters who violate law. But doctors say it can maim a person forever. The court was hearing an appeal filed by J and K High Court Bar Association seeking stay on use of pellet guns as a large number of people had been killed or injured due to its use. The Jammu and Kashmir High Court had on September 22 rejected the plea seeking a ban on use of pellet guns on the ground that the Centre had already constituted a Committee of Experts through its Memorandum dated July 26, 2016 for exploring alternatives to pelletguns. Taking note of the statement, the High Court had disposed of the petition, saying that no further direction was required since the matter was being looked at by the Centre. The High Court Bar Association challenged the order, contending that High Court should not have disposed the petition and instead waited or called for the report of the expert committee. The High Court had also declined to accept the plea to prosecute the officers who ordered use of pellet guns and those who actually fired them. It had also directed the authorities concerned to ensure that all the injured are extended adequate medical treatment by specialists for whatever injury they sustain. The apex court also sought assistance of Attorney General Mukul Rohatgi on the issue and asked him to submit copy of the report submitted by the Expert Committee constituted for exploring other alternatives to pellet guns. "The Learned AG is requested to assist this Court and to place on record a copy of the report, if any, submitted by the Expert Committee, constituted by the Government of India in terms of its Office Memorandum/Order dated July 26, 2016... Needful be done within six weeks from today", the bench said while posting the matter for hearing on January 30. “All that we want is an assurance that pellet guns will not be used indiscriminately or excessively in the state and will be resorted to after proper application of mind”, the bench observed.